The colors and textures that you use to paint your home can have a huge effect on its appearance and its atmosphere. At Artisan Painting and Decorating, Inc., our professionals are dedicated to helping our clients create the perfect mood for their home's interior by assisting them in selecting the color schemes and finishes that perfectly complement their personal tastes as well as their home's architecture. We are also highly skilled and professionally trained, and we can guarantee your complete satisfaction with all of the work that we provide. Our team of professional Cape Cod painters can transform your home into a more comfortable, relaxing, and attractive place. We work with each of our clients directly to design their painting projects so that we can guarantee that they're getting everything they need from the services that we provide. Call us today to ask any questions you have about the services we provide, or to schedule your appointment, and we'll be looking forward to working with you. 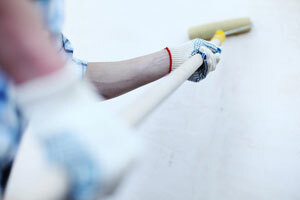 Whether you're painting the interior or exterior of your home, house painting is a huge and important job. Painting your home will increase its resale value and make it more attractive, and when you rely on our professionals, you'll be getting a high quality job that you'll be able to enjoy for years. When you're painting your Cape Cod home's exterior, you need to know that the paint will last throughout the changing seasons without cracking or peeling, and that it will be bale to protect your home from moisture, mildew, and other damaging environmental factors. Our professionals will use high quality products, and we can pressure wash your exterior walls to ensure that they're totally prepared to be painted. If you're painting your interior, you need the paint and finishes to be integral and complementary to your interior design. 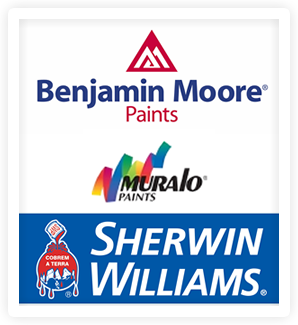 Our residential painting contractors in Cape Cod will work with you to determine the perfect colors, finishes, and products for you home's interior. We'll also provide you with quality craftsmanship at every job that we perform. Decorative finishes can add a distinctive and beautiful look to any room your home. Our Cape Cod commercial painters use innovative tools and techniques to create beautiful finishes that will enhance your home's appearance and create an atmosphere that you and your family will love. Our professionals can work with you to determine the perfect textures and finishes for your interior paint job, then we'll apply them using only the highest quality materials. We'll do whatever it takes to make sure that you're completely satisfied with all of our work as well as the final product. If you're looking for a painting contractor in Cape Cod, call Artisan Painting and Decorating, Inc. at (617) 947-0524 or (617) 548-3649 or complete our online request form.